easy compatibility at an affordable price. with HP REt and FastRes 1200 printing. printing easy, reliable and cost-effective. before your job is complete. • Save valuable desk space with a compact design. 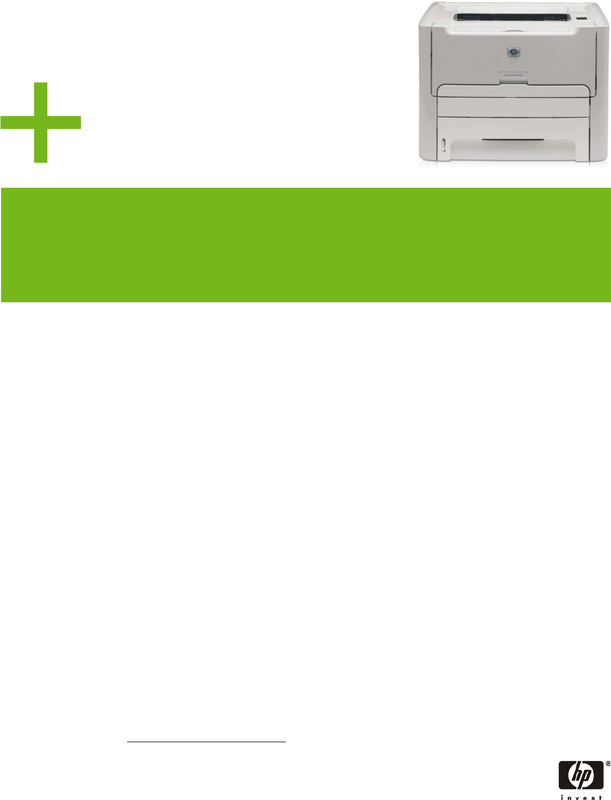 • Enjoy HP PCL 5e and host-based printing. Speed USB 2.0 and parallel connections. Gloss Presentation Laser Paper, and HP Labels. Average cartridge yield 2,500 standard pages. Declared yield value in accordance with ISO/IEC 19752. Using genuine HP supplies ensures availability of all printing features.